Australia’s oldest family-owned winery has put its years of experience and wine pioneering expertise to good use with the exceptional and rare new wine, the 2012 Yalumba The Caley Cabernet & Shiraz. Under a moonlit sky, 168 years ago, Yalumba winemakers planted their first vines. Now, as the only Australian winery to have its own on-site cooperage, Yalumba is continuing to stay true to its wine pioneering ethos. 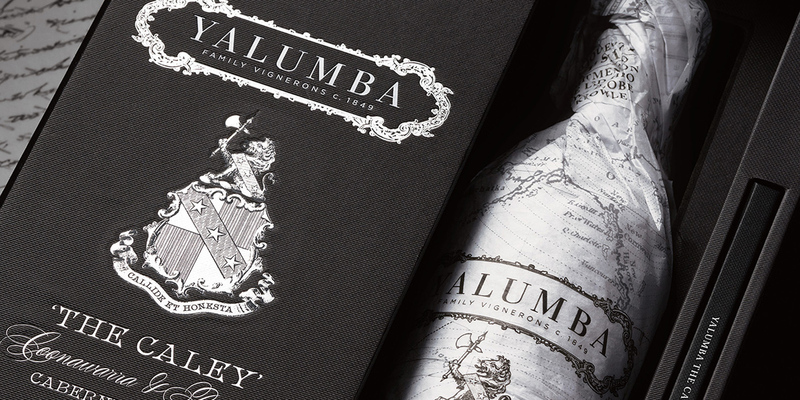 The newest creation to come from the vineyard – the 2012 Yalumba “The Caley” Cabernet and Shiraz – honours a vital individual in Yalumba’s history. Fred Caley Smith, the grandson of founder Samuel Smith, was one of Yalumba’s most adventurous sons and the wine’s namesake. At 28, Fred set off on a worldwide voyage to expand his knowledge of horticulture. This commitment to horticulture had a profound impact on the development of Yalumba’s sustainable essence. So it was timely that this blend was released on May 12, the very same date he docked in San Francisco in 1893 to start his journey. The time was never better for this exceptional wine, with 2012 being one of those seasons of perfect conditions. There was a perfect pre-season fruit set, gradual ripening over summer, no disease pressure or rainfall at the Coonawarra and Barossa vineyards. As a result, Hill says the 2012 Cabernet and Shiraz blend is a “one-in-50-years vintage”. better with age: The Yalumba Caley was matured for 22 months in a mix of 31 percent new French barriques and hogshead and 22 percent one-year-old French barriques. After bottling, the wine was cellared for a further 36 months. The Caley is a classic marriage of two noble varietals from two great Australian wine regions, Coonawarra and Barossa. The Yalumba Coonawarra estate’s Ming D block provided 52 percent of the Cabernet Sauvignon blend, with the best clones of Cabernet Sauvignon that was selected for the structure and depth of flavour. The Shiraz is sourced from the Burgemeister ‘Line Block’, which is between Nuriootpa and Angaston. The Shiraz vines are on a single wire trellis and run east-west. A component also comes from Yalumba’s own Horseshoe Block. The Cabernet Sauvignon and Shiraz parcels were fermented separately in open fermenters to contribute to complexity, richness and fine texture. A gentle plunging and pulsing of the skins was then undertaken to achieve the right balance of colour, tannin and phenolic extraction. Yalumba brings care and love to every stage of the winemaking journey, from vine to bottling. So much so, that they even craft their own barrels in their very own cooperage. Every stage is done with special care. The oak for the barrels is carefully selected to add even more character to the wines. Staves are imported from the best forests in the world and then fashioned into tightly bound oak barrels that are then fired delicately in order to toast the wood. Nothing is rushed; everything is done with the greatest degree of care and patience. Aged T-bone steak, rare to medium, with rich red-wine jus. Twelve-hour, slow-cooked, braised beef cheek ‘Bourguignon’ – as served at The Caley press preview at Euro. Aged, crumbly and tasty Cheddar. It’s great to drink in its youth, but is a wine that will be even greater with some maturity.